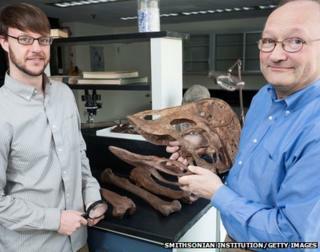 Scientists in the United States say they've discovered a new species of dinosaur. 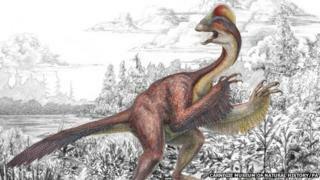 Anzu Wyliei was a 3 metre tall bird-like dinosaur that lived alongside Tyrannosaurus rex about 66 million years ago. Like a bird it had feathers, sharp claws and a toothless beak. The scientists think their discovery proves dinosaurs were still evolving at the time they went extinct. The bones were found at sites in North and South Dakota where many dinosaur fossils have been found before. Anzu Wyliei's remains were discovered years ago but it has taken time for scientists to study them.